Small 18c Vermeil gold hoop-earrings with a charm of 1.5cm Read more..
All orders made before 17hr CET are shipped the same day. All local payment methods available. Pay safe and secured. These shiny 18c Vermeil gold small pendant-hoop earrings are timeless and perfectly match the rest of our collection, allowing numerous combinations. All charms are unique LORADILORA® designs and are reversible. 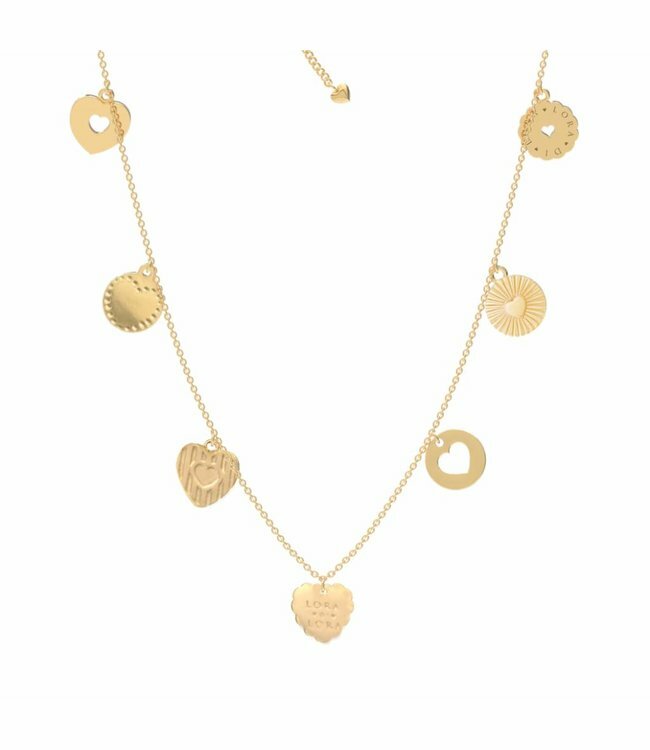 Playful letters form the beautifully engraved LDL logo on the backside of the charms. The light weighted hoop and charm measure each Ø 1.5cm and are for pierced ears only. 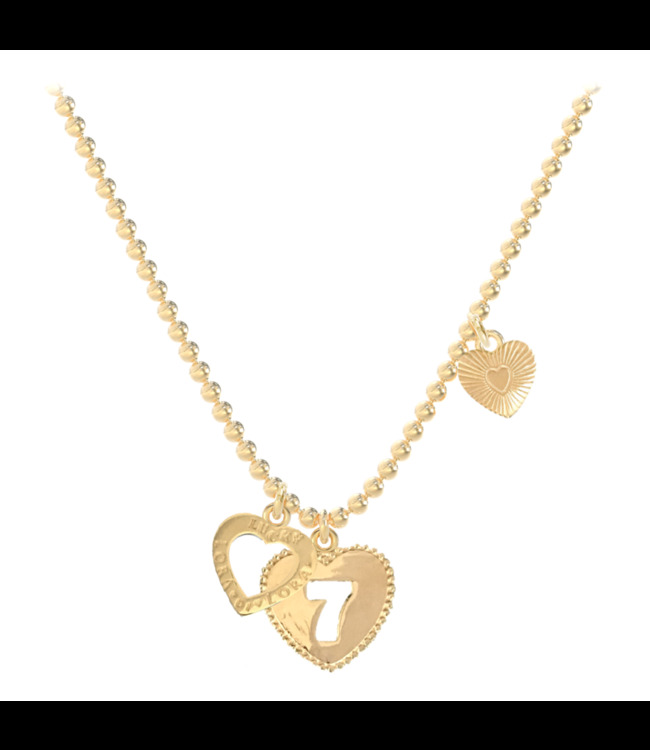 Must-have minimalistic necklace with 7 love-charms.